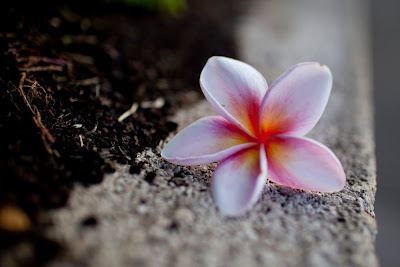 I love how "aloha" means both hello and goodbye, love and affection, a way of treating people with warmth and respect. Literally, it means presence of breath and is considered a way of life - living with the spirit of aloha - respecting yourself and those around you. I've spent the last ten days in the "Aloha State" (with two more to go!) and find myself reflecting on the places I've been and the choices I've made during the last few years. My dear friend, Raj, who I met in India, told me once that "every obstacle is an opportunity" - and I've tried to embrace those wise words and see the value in every lesson that I learn, especially the hard way. I'm often surprised with how much I appreciate my mistakes. I'm focusing on new goals, including looking beyond my peripheral vision and absorbing not only the information right in front of me, but the hidden messages on the outskirts of my experiences. I'm trying to "see" differently, as well, and capture some of the sights that I used to look right past, ignoring or avoiding. I'm also committed to slowing down, not making so many commitments, driving myself less crazy by leaving more empty space on my calendar. 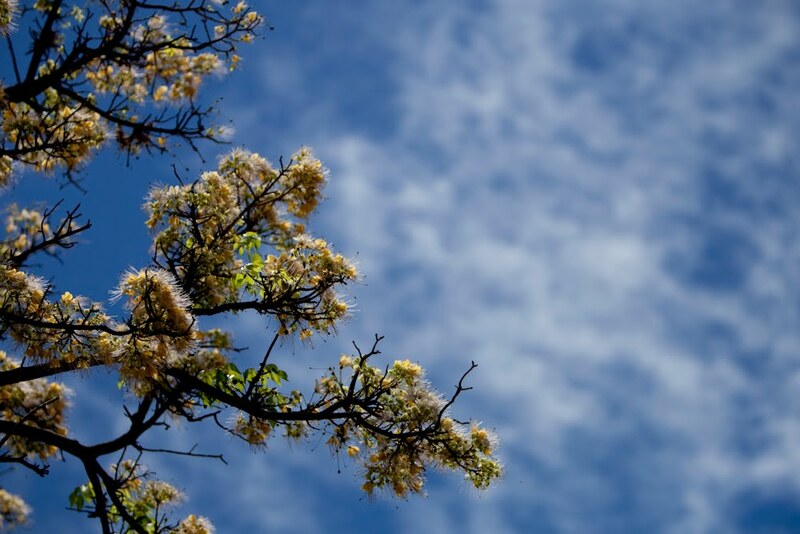 I want to stop and smell the flowers, no matter how cliche that sounds. I want to give the people I care about more of me, not just the minimum needed to get the job done. 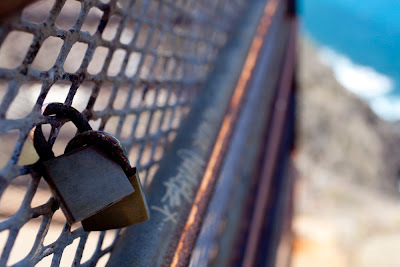 Today I saw these locks (and several more) hanging on a fence at Makapu'u Point. I had no idea why they were there, seemingly out of place and not actually holding anything together. I stopped, snapped a few frames and stood there, wondering about them, and staring out at the dazzling, blue-green ocean that surrounded me. After a few minutes I heard some other people talking about the locks, explaining that they were called "locks of love" and had been left there by couples who fastened them to the fence and threw away the key, so that the locks, which could never be undone, represented their eternal love. I felt the spirit of aloha swirling around me and it made me smile.